Go on a world-class private luxury safari in South Africa's famous Kruger National Park and fly all the way to the local airport here. Stay in your own exclusive private 500 sq. 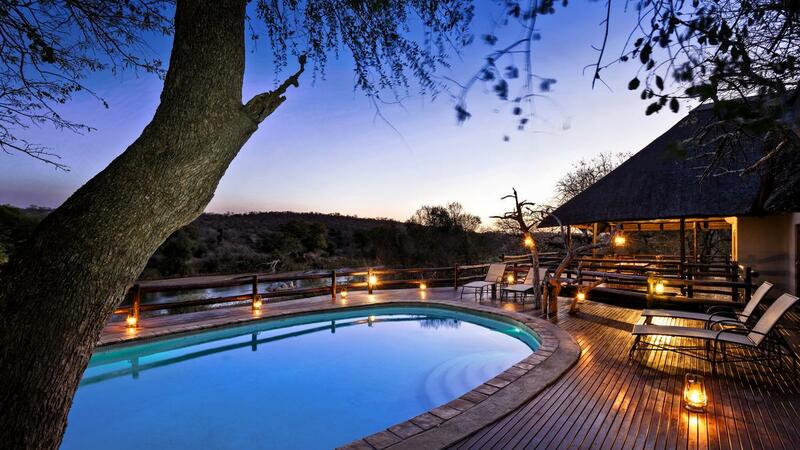 meter camp with big private pool terrace facing Olifants River and Kruger National Park. 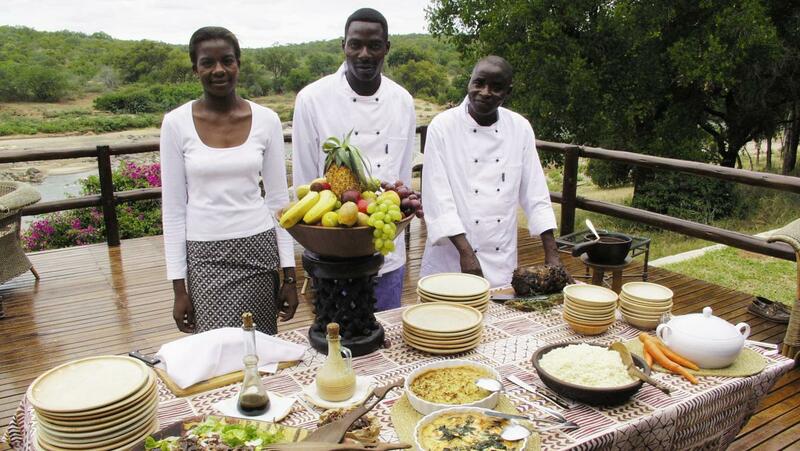 Experience a culinary luxury safari with your own private chef and all meals included. 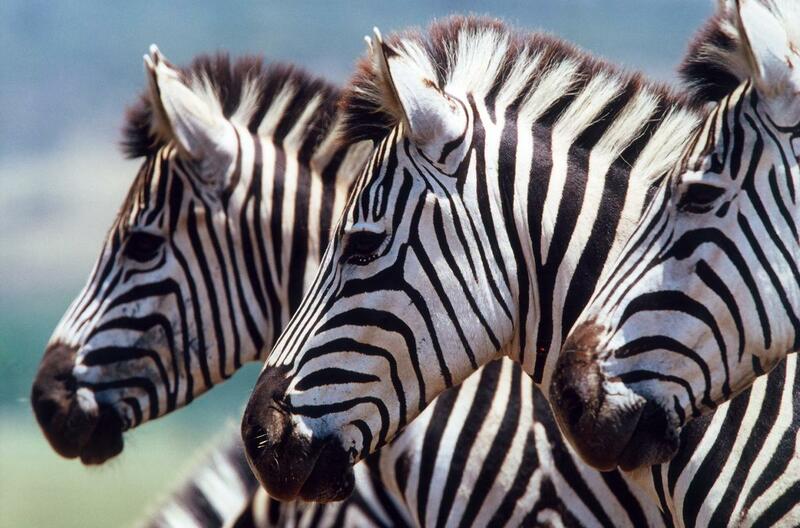 Enjoy a comprehensive safari program in your own car with your own English speaking chauffeur/guide. Please note that bush walks and sunset safaris are only possible as far as the other activity program allows. Weekdays for the individual excursions / activities may vary. If you want to know all your expenses in advance, you can buy drinks in advance for a smaller surcharge. This gives you exquisite local wines, spirits, beer, water etc. included in the price. If you want to experience even more Africa, you can combine your safari adventure with Cape Town, Victoria Falls, Botswana, Zanzibar, Mauritius and many other destinations. If you are looking for the safari experience of a lifetime for your family or group of friends in private and exclusive surroundings, Nyati Cheetah Camp is an obvious choice. Nyati Cheetah Camp is a private exclusive camp, situated next to the Olifants River and just few minutes’ walking distance from the main lodge, yet secluded enough to be able to offer a private atmosphere. With room for up to 12 guests on 500 sq. meters with private pool, terraces, private chef and own safari car with driver/guide, the Nyati Cheetah Camp offers a unique brand of exclusivity and personal service. The camp consists of two large villas, luxuriously furnished with spacious living areas, fire places and fully equipped kitchens. The villas share a private swimming pool, several terraces facing the Olifants River and a large "Boma", which is an African barbecue area. 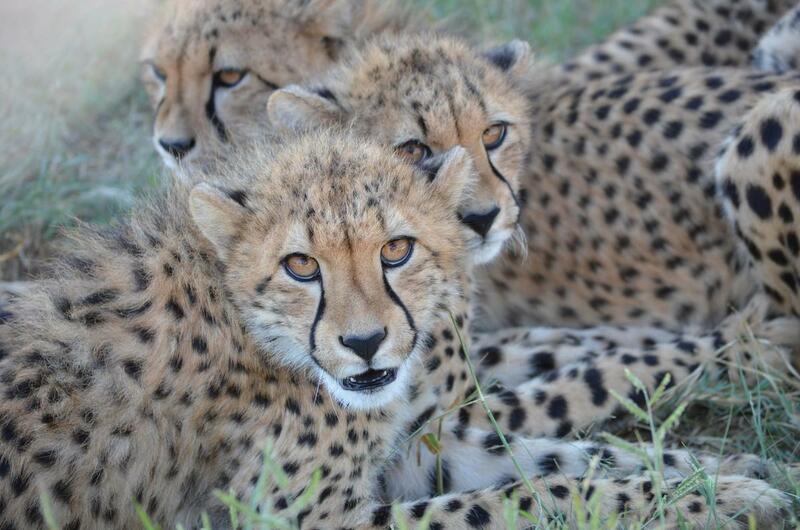 The Nyati Cheetah Camp is available for a minimum of six guests and children of all ages are welcome. Read more about Nyati Cheetah Camp here. Get an exclusive safari experience in luxury at NYATI Cheetah Camp with private chef, driver and your own safari program. Saturday is your day of departure. After breakfast you can choose to be driven to the local airport where flights connect to Johannesburg, you can organize your own departure or you can take our luxury bus to Johannesburg Airport via the famous panorama route in the Drakensberg Mountains. The mountains are about 2,000 metres (6,500 feet) high. Along the Panorama route you will find several look-out points, each one more breathtaking than the next. We follow the 60 kilometre (35 mile) long Blyde River Canyon which has deep ravines, sparkling waterfalls and wondrous rock formations. We make a stop at the Three Rondavels, Bourke's Luck Potholes and the Blyde River Dam, all of which are among the top tourist attractions in South Africa. Eucalyptus and coniferous trees grow in the beautiful mountain gorges, which are also the sources of countless sparkling waterfalls. A delicious lunch is included and will be served in the charming city of Lydenburg before the tour finishes in Johannesburg Airport. Our friendly staff will welcome you with drinks, followed by a small briefing to organize your tour program. After this it is time to settle in and enjoy the beautiful surroundings. Welcome cocktails will be served on your private terrace overlooking the Olifants River and in the evening your private chef will serve your welcome dinner. Explore the area around Nyati by taking a bush walk early in the morning. The animals are especially active in the mornings and this easy stroll runs along the Olifants River, where you can often spot hippos and crocodiles. You also have the option of experiencing the bush from a bird's eye view in a micro light aircraft or helicopter (to be paid for separately). 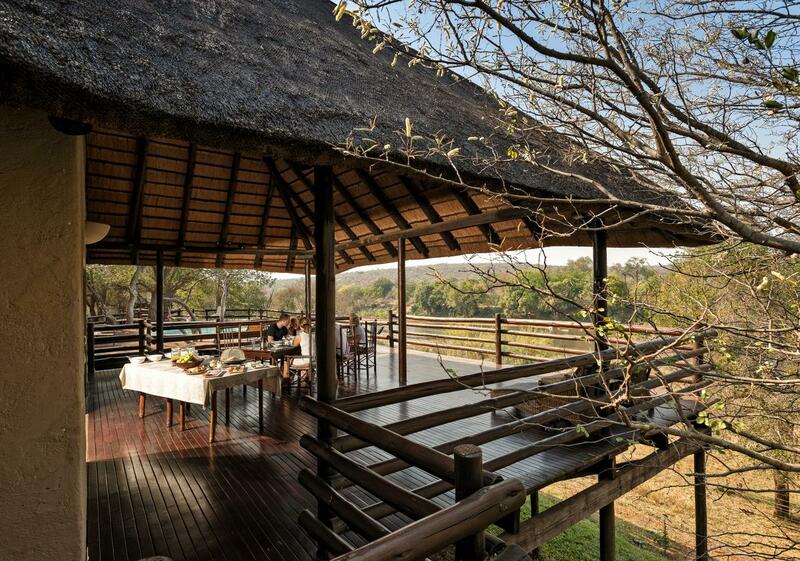 Back in your private Cheetah Camp you will find a tempting breakfast buffet on the terrace set out for you. After having had a few hours to relax, it is time for “the Big 5” safari. 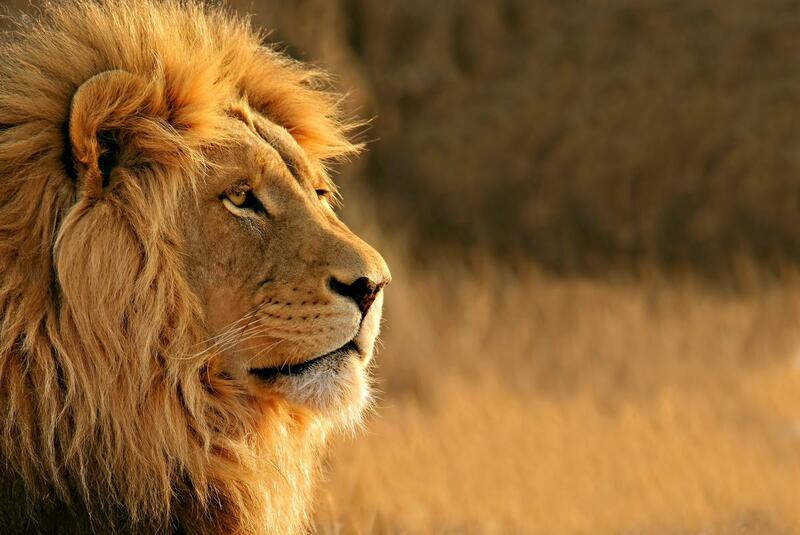 “Big 5” is a traditional hunters' way of describing lions, leopards, elephants, rhinos and buffaloes. 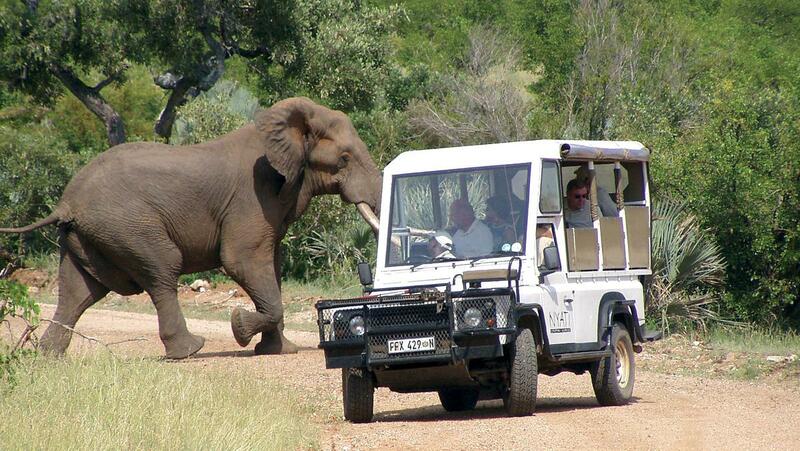 We begin with an exciting drive through the bush along the Olifants River in open Jeeps. 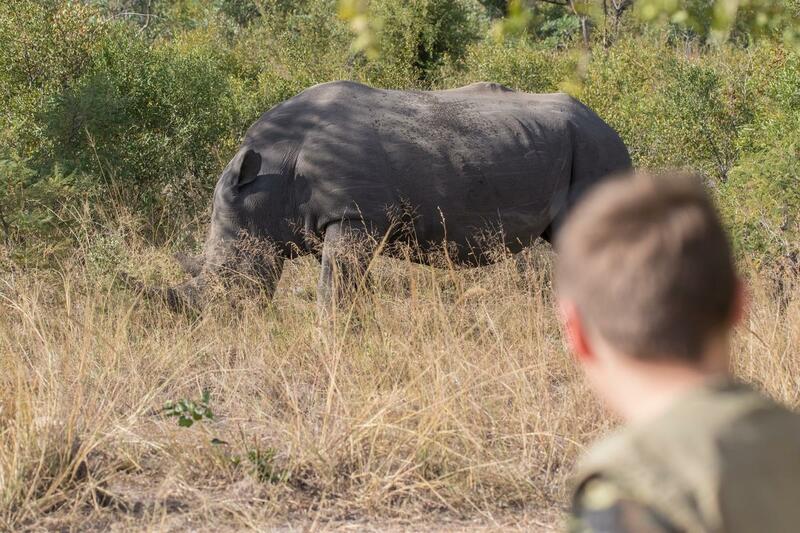 Local rangers will meet us at the entrance to Thsukudu, a nearby private wildlife reserve especially known for its work breeding rhinos. Here there will be ample opportunity to spot “the Big 5”. We go on a safari drive, known in South Africa as a game-drive, and before heading back we will stop for refreshments and watch the beautiful sunset. In the evening, you private chef will have prepared a traditional African Braai for you in your own private “Boma”, which is an open barbecue area. Here you will be able to visit either Kruger National Park or The Drakensberg Mountains. 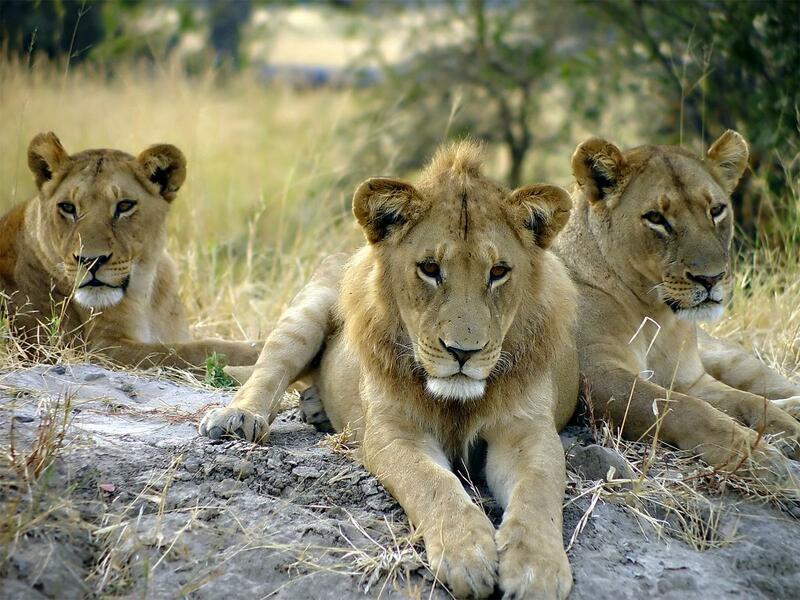 Kruger National Park is one of the largest game reserves in Africa, covering an area of 19,633 sq. 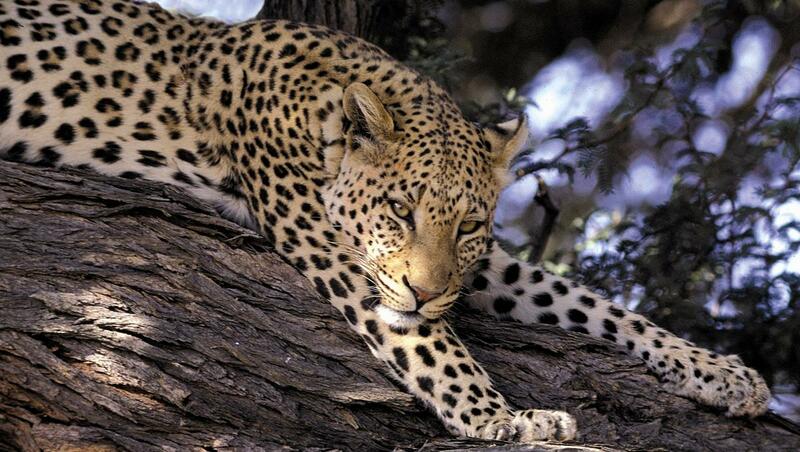 kilometers (7,580 sq mi) and offers the highest concentration of wildlife in the world and of course “The Big 5”. Nyati Safari Lodge is one of the few lodges with license for driving our own custom-built open safari vehicles in the park. Driving in open vehicles gives your safari experience an extra dimension, as scents and sounds are much more perceptible. We depart early morning, and the chef will have packed your breakfast to take along. We eat the breakfast that we have brought with us outdoors, as we witness the splendid sunrise. Remember to have your camera ready, as there will be many sights which you will want to bring home with you. 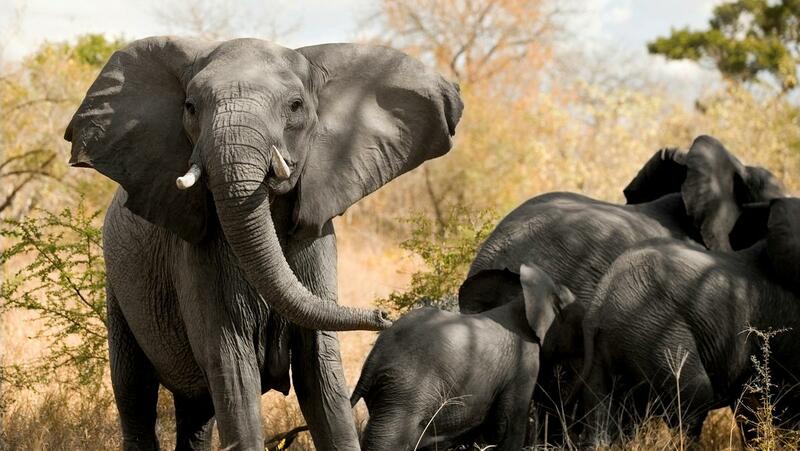 Kruger National Park offers world-class nature and wildlife experiences. 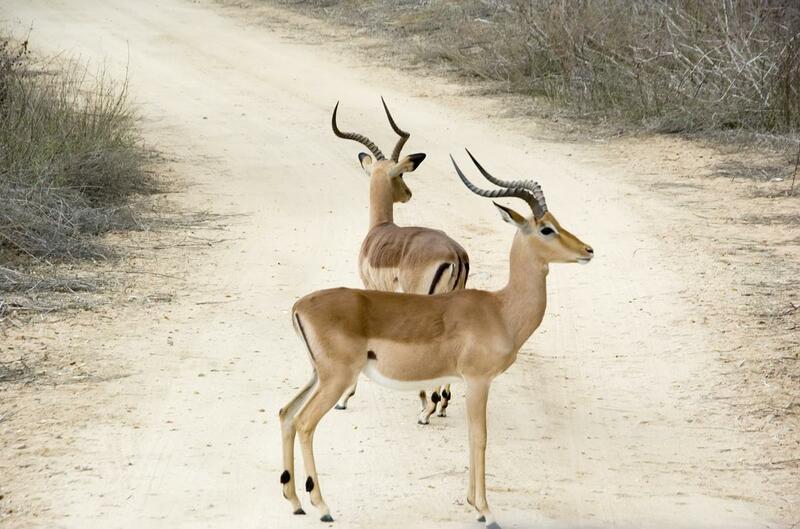 In the Mopane bush, in the north, there are lots of elephants, buffalos, impalas, kudus and plenty of other antelopes. On the central savannah there are many gnus, zebras, cheetahs and lions while in the Bush Willow towards the south, with its dense grass forest, there are lots of giraffes, lions, white rhinos, hyenas and antelopes. 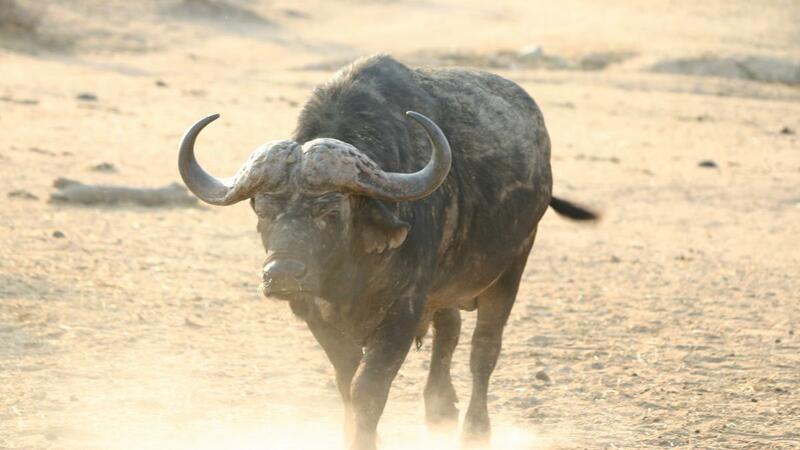 Just as on the Sunday excursion there is ample opportunity to spot the “The Big 5”, so we hope you are in luck. 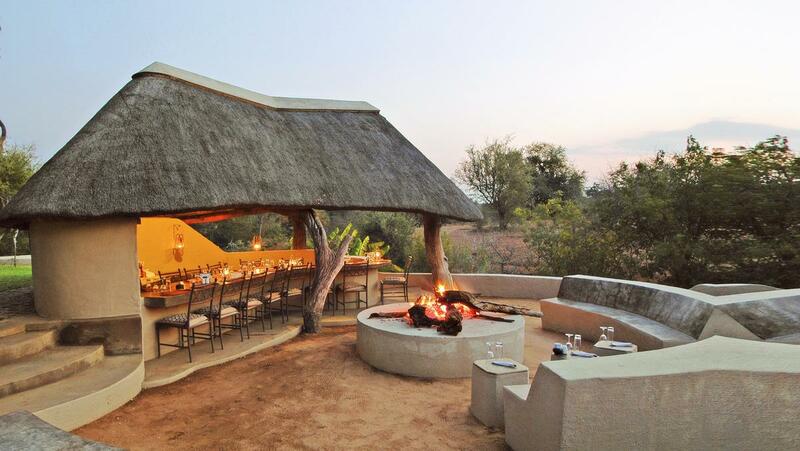 We enjoy an Out of Africa-style lunch served in the great outdoors at Letaba Rest Camp. The table, which is covered with a starched white table-cloth, will be overflowing with delicious food. 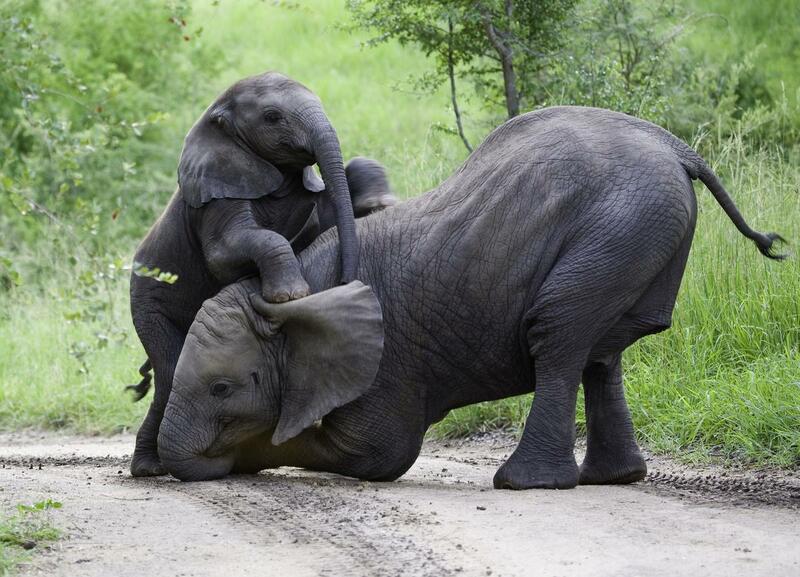 There will also be time to visit the elephant museum here. You will arrive back at the lodge in time for your culinary three-course dinner in your private luxury camp overlooking the Olifants River. Begin your Wednesday with a bushwalk watching the sun rise over the scenic South African bush while one of our professional rangers explains about everything you see, big and small. The walk will finish at our most beautiful viewing point where a traditional bush-breakfast will be served outdoors in the shade of the acacia trees awaits the guests. A relaxed river safari is one of today's optional activities (to be paid for separately). We cruise along the Olifants River aboard a slow-moving river boat. The golf aficionados can use this time to hone their skills on the Nyati driving range. The lodge's golf coach is available, offering training and advice. We set out on a Sundowner in the afternoon. This gives you the chance to encounter many species of wild animals and experience incredible landscapes without bumping into other safari cars or guests. A culinary dinner is served by your private chef on your own terrace. 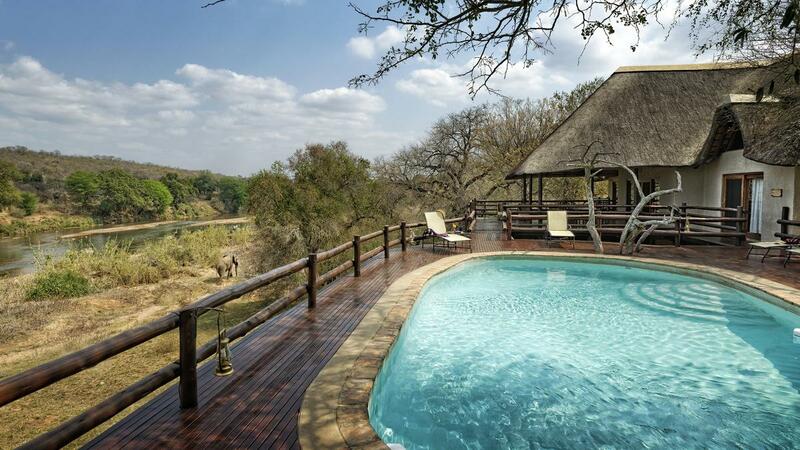 Nyati Safari Lodge is located close to the border with the neighbouring province of Mpumalanga, which also offers exciting nature experiences. This province is home to the Drakensberg Mountains and a full-day excursion to this destination will no doubt be one of the highlights of your stay. The mountains are about 2,000 metres (6,500 feet) high. Along what is known as the Panorama Route you will find several look-out points, each one more breathtaking than the previous one. We follow the 60 kilometre (35 mile) long Blyde River Canyon which has deep ravines, sparkling waterfalls and wondrous rock formations. We make a stop at the Three Rondavels, Bourke's Luck Potholes and the Blyde River Dam, all of which are among the top tourist attractions in South Africa. Eucalyptus and coniferous trees grow in the beautiful mountain gorges, which are also the sources of countless sparkling waterfalls. A delicious Out-of-Africa style lunch is included in the trip and we make a stop in the picturesque village Pilgrim's Rest, a world heritage site, and we visit an old goldmine where our guests have a chance to search for a little gold dust. We return to the lodge in the evening, where your private chef will serve a delicious 3-course dinner on your private terrace overlooking the Olifants River and the South African bush. On the last day of your stay you might need to just enjoy your private luxury camp and to digest all the impressions. Enjoy life in a hammock on your own terrace; go for a swim in your private pool – or choose among our many additional activities. On Friday we also tempt you with a sunset safari. This is a very evocative way to say “goodnight” to the bush in the dusk, all the while enjoying some wine and snacks. Friday night is celebrated with a farewell dinner, where your chef will be a little extra inventive with the delicius local produce. 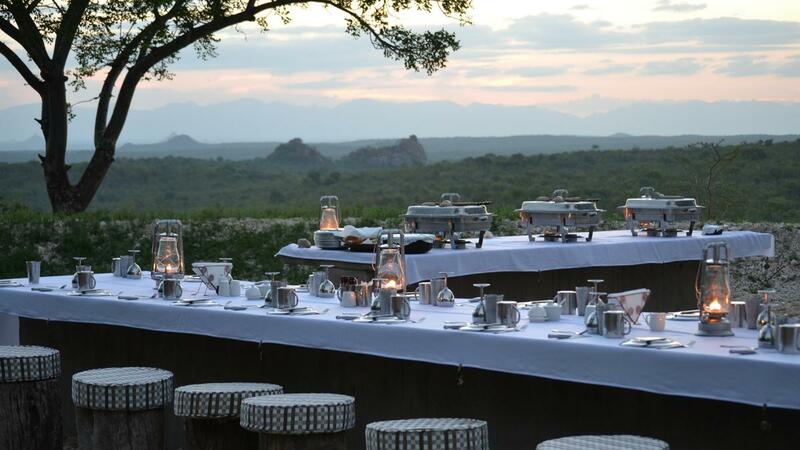 The staff will set a beautiful dinner table in your private Boma where the starry sky sets the scene for the evening’s Braii. 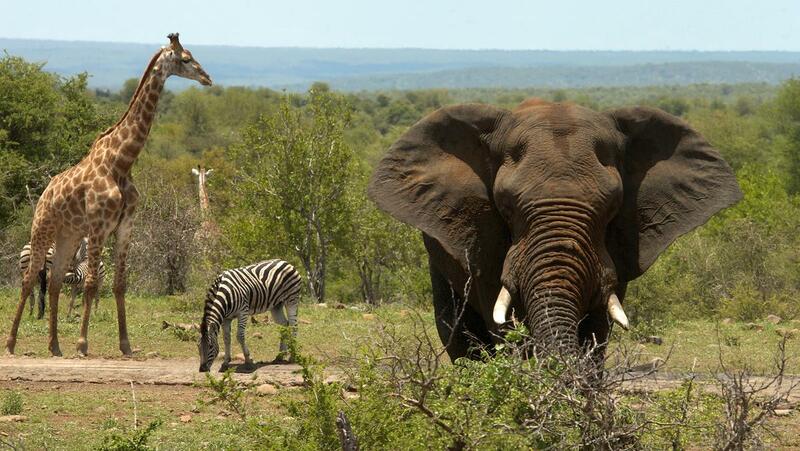 Join an eventful trip on foot, on the river and in open safari vehicles through Kruger National Park. The tour starts early in the morning with a safari walk through the bush, where one of NYATI's rangers tells about the flora and fauna along the way. 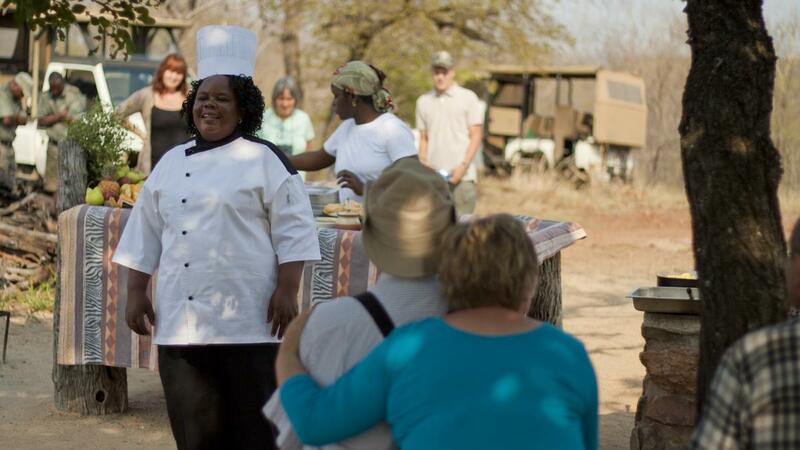 The walk ends with a delicious breakfast cooked by NYATI's chefs in the bush at one of NYATI's beautiful view points. 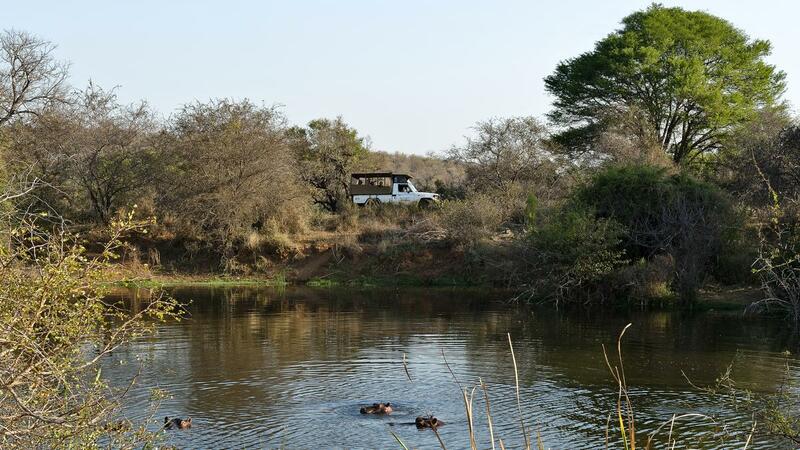 Continue by car to the dammed part of the Olifants River, where you arrive approx. in the middle of the day. 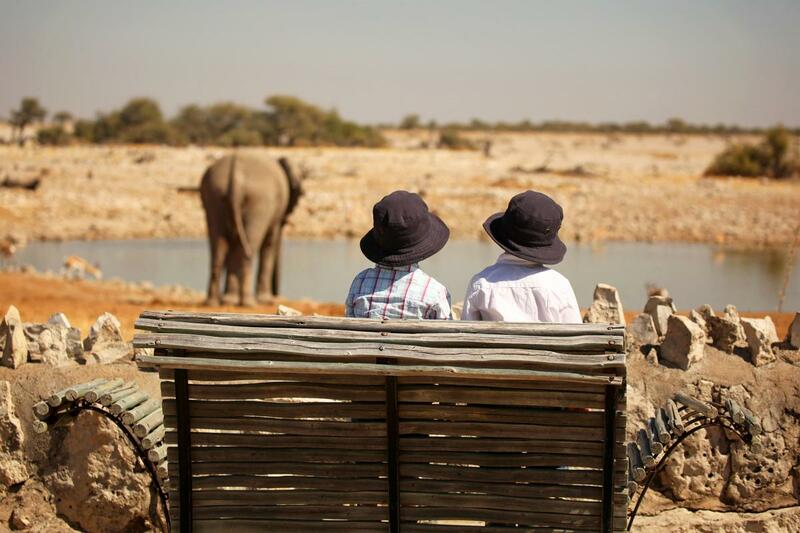 Embark on an incredible river cruise offering close encounters with the South African wildlife such as crocodiles, hippos and elephants along the river banks of the Olifants River bordering and open to Kruger National Park. The river cruise is also a fantastic way to experience the rich bird life along the river. You will have lunch on the boat while you enjoy the sounds of the bush and the beautiful view of the wildlife. After the boat trip another safari adventure awaits. You will be picked up by one of NYATI's open safari vehicles and go on an evocative sunset game drive through Kruger National Park with a good chance to see "Big 5". The safari experiences ends at one of NYATI's beautiful sundowner spots, where you can enjoy the sunset over the South African bush with cold drinks and snacks before going back to the lodge. Please note that the tour is weather dependent. Lunch is included. Departure from the lodge early morning, return right after sunset. Minimum age is 8 years. The south Africans do much to protect and preserve the wildlife, and The Hoedspruit Endangered Species Centre (HESC) is recognized as one of the pioneering institutions in the conservation efforts of endangered species in South Africa. Visit this impressive rescue center and get an insight into the breeding, treatment and rehabilitation of endangered orphans and injured wildlife. HESC is home to cheetahs, lions, rhinos, wild dogs, African wild cats, black-footed cats, sable antelope, ground horn bills and many other species in need of special care and rehabilitation. You will have a chance to get close to these residents in the center. The price includes breakfast at The Deli@HESC. To hover silently over the landscapes is a truly magical experience. The balloon ascends at sunrise, so you get to experience the awakening bush from high above. The tour will take you over the scenic, Lowveld section of the Blyde River offering stunning views of the Drakensberg Escarpment and the South African bush. Sparkling wine and snacks will be served after the balloon flight and a full breakfast will await you back at the Lodge. The activity is highly weather dependent and will only be offered on days when the local balloon skipper believes it to be “balloon weather”. Departure from the lodge may be as early as 3 in the morning and will be confirmed the day before the flight (minimum of 4 participants). Take a helicopter tour over NYATI's own land and experience the South African bush from above. 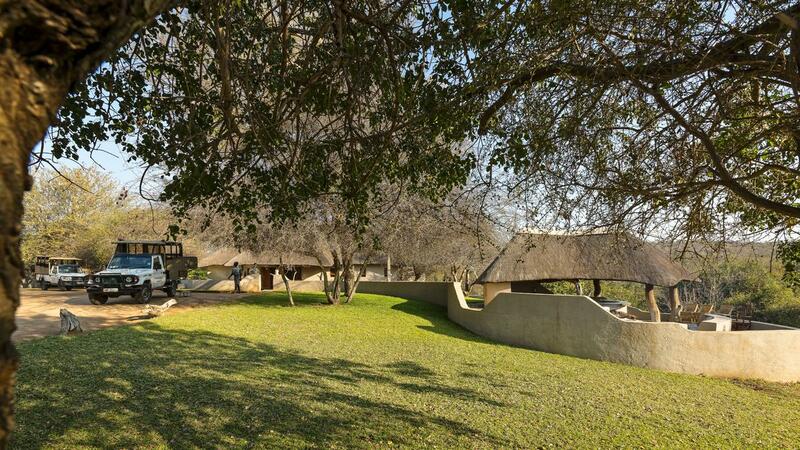 The tour will take you past the safari lodge and up Olifants River offering stunning views of the bush. You might even spot the wildlife from above, e.g. elephants, giraffes, zebras, rhinos etc. The flight will last approximately 20 minutes. You will be flying with a certified pilot and security is paramount. Min. 2 participants, max. 3 participants. Take a tour in a small microlight aircraft and experience the best view of the landscape. With the wind in your hair and complete uninterrupted views, you get an intense and adrenaline-inspired safari experience from above. It almost feels like you are flying over the bush. The flight begins early in the morning and will last approximately 20 minutes. You will be flying with a certified pilot. The activity is highly weather dependant (minimum 2 participants). 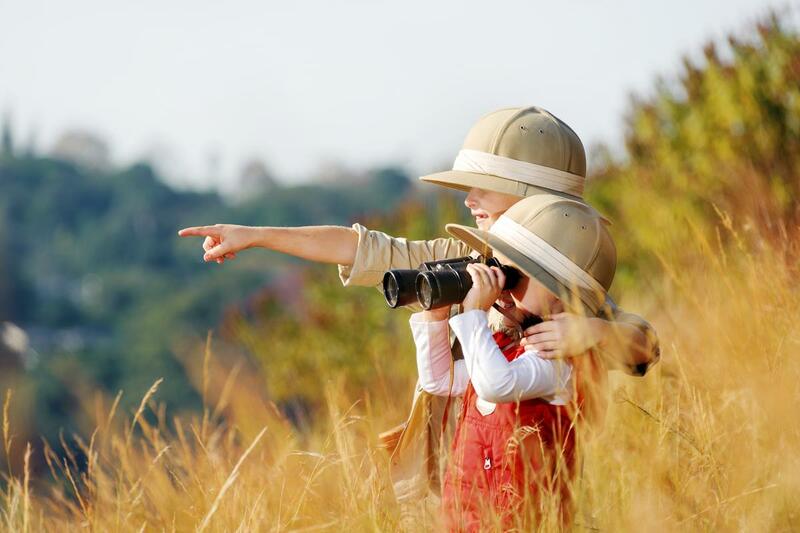 A fantastic and different safari, where nature and wildlife sets the agenda. Experience the south African bush far from the beaten track on a quad bike. It is a four-wheeled motorcycle suitable for off-road driving. A fun activity for the family and for everyone who wants to have another chance to get close to the wild nature and get the pulse up a bit. Because the trails are more about game viewing than quad biking, there are no daredevil stunts. The speed is slow and the animals always have right of way. Guests are driven approx. 15 minutes up the terrain, from where the tour starts under the guidance of a local guide. The tours depart early morning before breakfast and late afternoon and lasts approx. 1,5 hours (2 hours incl. transfer to and from the lodge). Min. 2 participants and max. 3 participants per time. Minimum age 12 years. No experience required. In March 2000, Tony and Shirley Joubert found a little starved orphaned baby hippo at the edge of Blyde River. The couple "adopted" the little hippopotamus, and therefore it has grown up among humans and domestic animals. Today, the tame hippo, named Jessica, is one of the biggest attractions in Hoedspruit, where both adults and children visit it. On this excursion you will have the chance to experience a day with Jessica, where she, for example, plays with the family's dog, gets feed from the hand and petted. Jessica is very affectionate and love beeing close to people. Subject to Jessica's visit at that time. South Africa also offers world-class golf courses and is in many ways a paradise for golfers. If you play golf, do not miss the opportunity to play golf among African wildlife. Approx. one hour drive from NYATI Safari Lodge you find Hans Merensky Country Club's 18-hole course designed by Bob Grimsdell. The course is medium-level and is located just on the border with the world-renowned Kruger National Park. Therefore, the wild animals have priority - also on the green. Giraffes, antelopes, monkeys and warthogs cross the fairway and remind you that you actually play golf at their home - the South African bush. Hippos and crocodiles reside in the ponds, so you should remember to bring spare balls. The area where the golf course is located was once part of the national park and is therefore an unusual golf experience in a fantastic setting. However, there are major water restrictions in the area, which unfortunately means that the quality of the golf course is not the best anymore. Remember, you can also practice at the driving range at NYATI Safari Lodge. Rental of golf equipment at Hans Merensky Golf Course is additional ZAR 200 per person. Golf cart rental is additional ZAR 210. 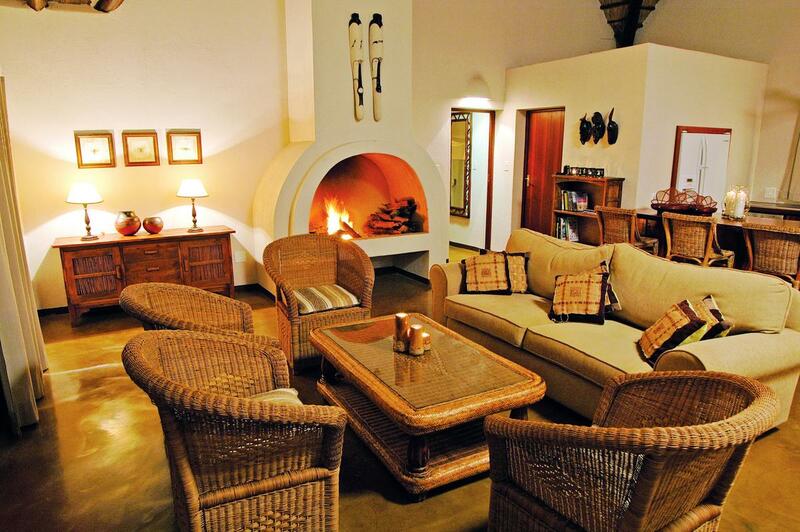 The trip starts early morning with a cup of coffee at NYATI Safari Lodge before departure. At the boat there is a light morning snack with coffee / tea before heading out to the Olifants River. The next 3½ hours you can enjoy sailing peacefully through the stunning scenery surrounded by the wildlife of the bush while trying to get one or more fish on the hook. Which fish can be caught and their size depends on the season - and may also differ from trip to trip. There are good chances to catch a fish. The instructor knows the river very well and which areas are best to go fishing in this particular season. Around 10.30 there will be brunch on land before the trip continues back to the lodge. Fishing equipment (rod and reel fishing utilizing, Carp species fishing rods and bait runner reels) and license are included in the price (minimum 2 participants, maximum 8 participants). 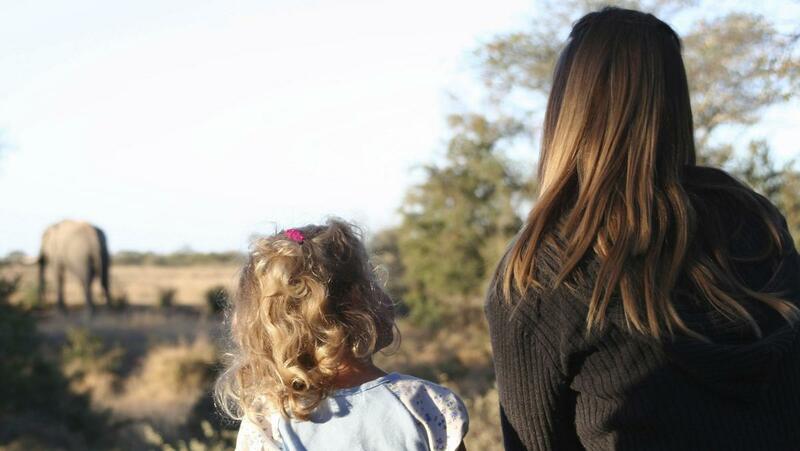 NYATI Safari Lodge is part of the Central Lowveld Biosphere Reserve Initiative, which works on the important back-to-nature process to ensure the wildlife and their free movement. Hunting in the area is part of the natural game management and takes place under good conditions without posing any threat to the animal species. 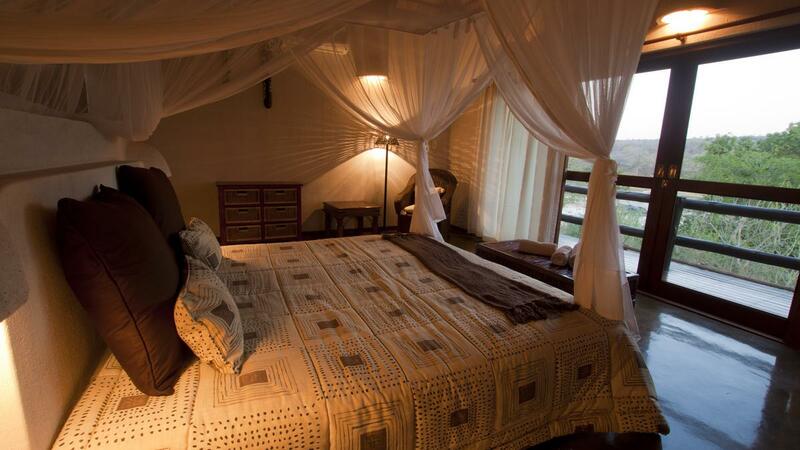 NYATI Safari Lodge can therefore offer guests to arrange hunting during their stay. Hunting must be booked no later than 6 weeks in advance, otherwise we can not guarantee our professional hunting supplier Wayne Wagner Safaris is available. Each hunt is planned individually, so you as a hunter can be sure that your wishes and preferences are met. You have a professional hunter who guides and informs - and the hunt takes place both on foot and in cross-country vehicles. Among other things you can hunt blesbuck, bushbuck, blue wildebeest, buffalo, duiker, moose, gemsbok, impala, kudu, nyala, red hartebeest, capricorn, tsessebe, warthog, wildbuck and zebra. You will be picked up by Wayne Wagner Safaris at the lodge and drive to the hunting terrain, which, according to your hunting wishes, can be up to a couple of hours drive from here. NYATI's chefs provide food for the hunt. The price is for one day hunting incl. rent of rifle, shooting and accompanying professional huntsman. The price for the game varies and the latest wildlife list can be ordered on request. Please note that renting a rifle is included in the price and that it requires long preparation and permission from the South African police to bring your own rifle. In addition, you need approximately 3 hours in Johannesburg airport for admission with a rifle. Trophy repatriation etc. is organized on site with our hunting supplier Wayne Wagner Safaris. South Africa is a country with great contrasts. On one hand, a modern country with well-functioning economy and infrastructure - and on the other hand, the original and authentic Africa. 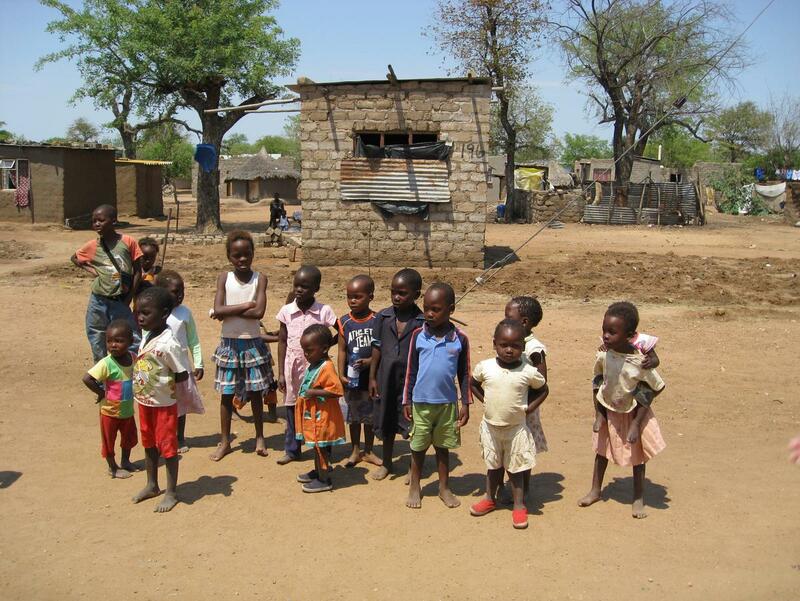 A visit to a local township is one of the best ways to get an impression of the local culture and its traditions. You will visit a pre-school, you will be invited home to a local family and you will experience the local witch doctor at work. A light lunch will be served underway, where you will have an opportunity to taste local specialties, after which there will be entertainment with singing and dancing. At NYATI Safari Lodge you already have one full day trip to the Drakensberg Mountains included, but guests are welcome to purchase an extra trip. Along what is known as the Panoramic Route you will find several look-out points. 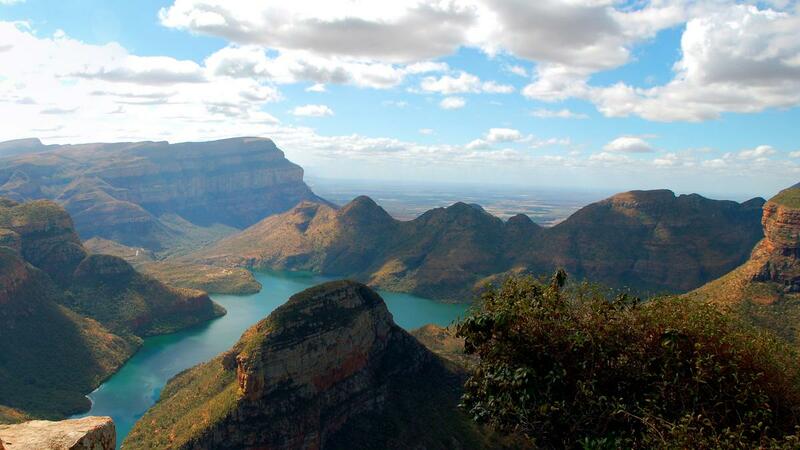 You follow the 60 kilometre (35 mile) long Blyde River Canyon. There will also be a stop in the gold-digger's village Pilgrim's Rest. 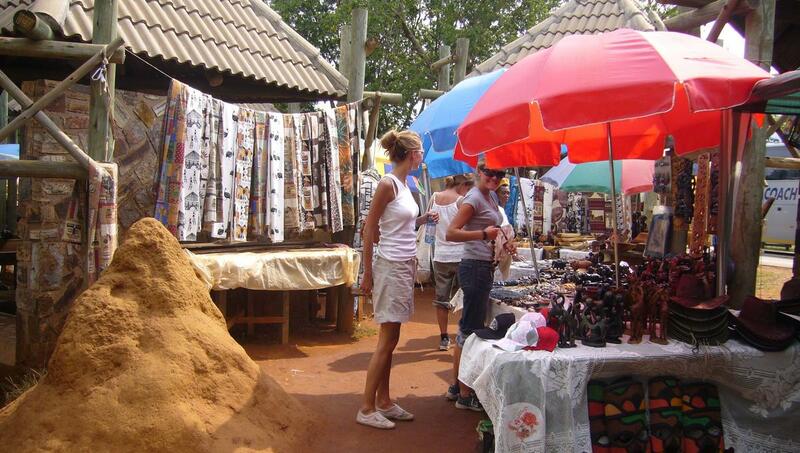 Great opportunities to buy African woodcarving work. Lunch is included. Departure from the lodge early morning. Subscribe to our newsletter and receive exciting travel news directly in your inbox.vilkårene for modtagelse af nyhedsbreve. This site uses functionality that older versions of Internet Explorer do not support. Therefore, you should change or upgrade your browser.